Hello Quick Quotes friends! Marcia here today with more masculine inspiration. My daughter and her boyfriend went to a Minnesota Twins game recently and gave me their ticket stubs and this photo to scrap. Can you tell my daughter Naomi doesn't like her picture taken? lol! So, I made due with what I had and used the ticket stubs. 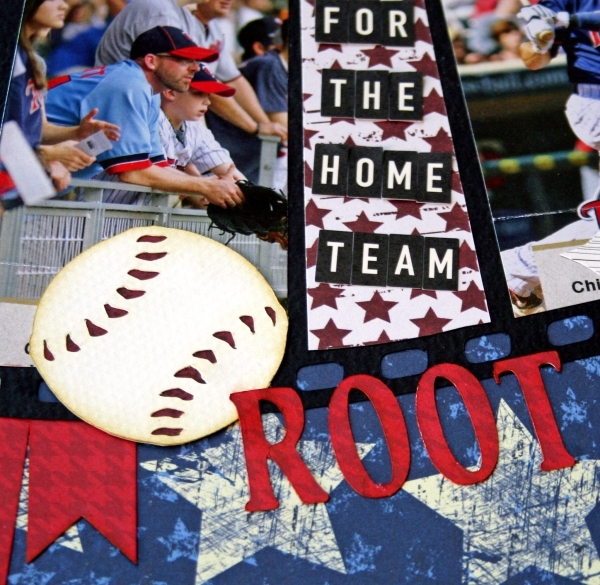 The ticket stubs have great pictures on them so I used them in my negative strip SVG die cut. This left a little space that was perfect for my title placement. I am mixing papers here from Just Jackson, Summer Samba, and Be Bold. I needed the red, white, and blue colors to match the team colors. Lots of the Quick Quotes collections can be mixed, many coordinate together so well! Thank you for sharing our excitement as we showcased the Mini Album Books in May! I like how you altered the color of the bling to match the project. I would make a mini of my favorite pictures of my daughter's first year. Thank you for the chance to win. Let me know which is your favorite of our four styles here. 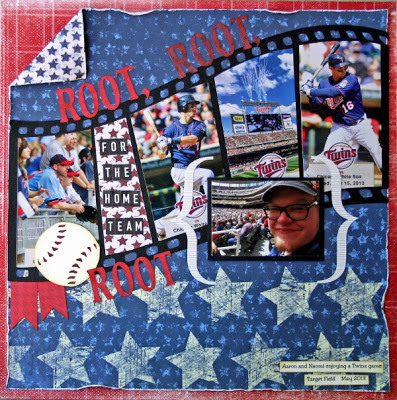 I love this All- American layout! Perfect for these great baseball photos! Wow, I won! I'm so excited to make the mini of my lovely baby girl now, can't wait. This layout gives me an idea for her first Fourth of July. Thank you so much.